As the wind and rain beats down on your furniture, it’s going to get dirty. You’ll notice that dirt, dust, and other grime will build up on it over time. You can easily remove these things by cleaning your furniture with a mild soap and water. Grab your hose and give the furniture a good wash to remove anything that has built up on it so far. After your furniture is cleaned, you should seal the wood with varnish. In recent years, more wood furniture has a permanent varnish added to the wood before you purchase it. If this is the case for you, you’re good to go. Otherwise, you should add it as soon as possible. The varnish will protect your furniture from moisture and other issues that could cause the wood to rot and develop mold. If you’re going to keep your wood furniture in great condition for as long as possible, then you need to add a varnish to seal the wood before any damage can be done. Some types of wood have no problem defending themselves against the winter weather. If your furniture is made from cedar or teak wood, then you can leave your furniture out throughout the winter. Otherwise, it would be wise to find a space to store your furniture. Whether you can store it in your garage or basement, it would be wise to make room for your furniture to protect it from the snow and rain that falls during the winter. 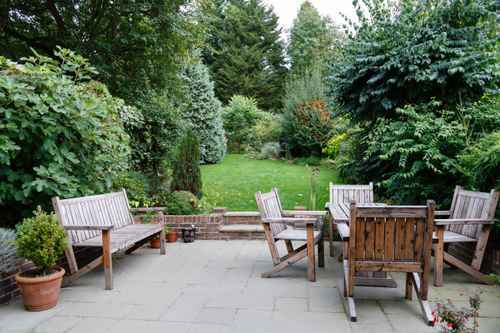 If you have wood outdoor furniture, you need to know how to maintain it. It’s important to take the necessary steps to keep your furniture looking great throughout the warmer months and protect it from the elements during the colder months. 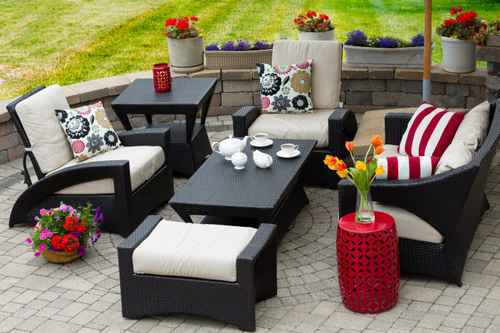 If you don’t already have patio furniture at your house, stop by Sweetland Outdoor and check out our selection to find the perfect wood patio set for your home.